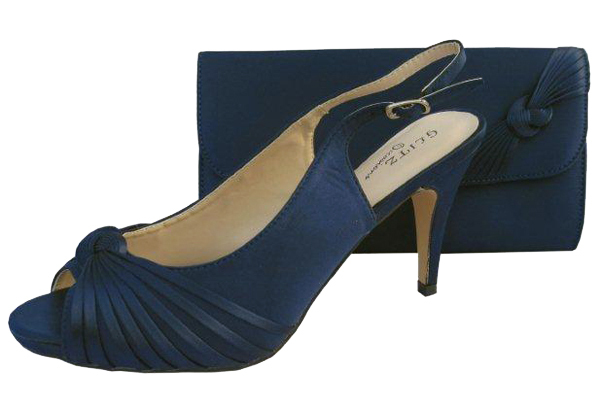 Fabulous peep toe evening shoes in a range of beautiful satin colours. Elegant peep toe ladies shoes with a sophisticated knot detailing across the foot. 9cm satin covered heel & 1.5cm satin covered platform sole. A matching clutch bag is also available seperately to match these pretty lime green evening shoes. Make your wardrobe complete without a pair of theses stunning peep toe ladies shoes. The shoes are available in lime green, champagne, pewter grey, navy blue and silver. Beautiful Shoes. Thank you for the quick service.